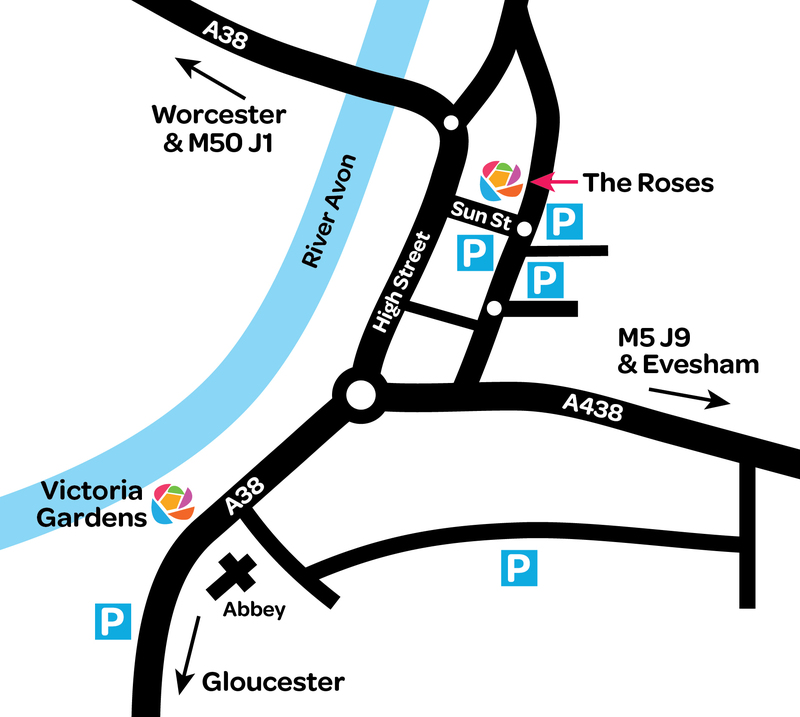 The Roses is opposite several large pay and display car parks, which all have unlimited free parking after 5.30pm every day. By car: Please see the map above. By bus: Tewkesbury is served by a number of bus routes. The nearest bus stop to The Roses is in Sun Street, right outside the theatre. Please check bus time tables for current information.